Cities are inherently nostalgic places. Times and technology change fast, littering city streets with relics: payphones, parking meters, horse stands that no one uses anymore. But instead of tearing down these artifacts or suffering their presence, an upcoming exhibition at the Boston Society of Architectsâ€™ BSA Space gallery proposes that we find new uses for them instead. The exhibition is called â€œReprogramming the City: Opportunities for Urban Infrastructureâ€� and it contains 30 examples from cities around the world of innovative urban retrofitting. 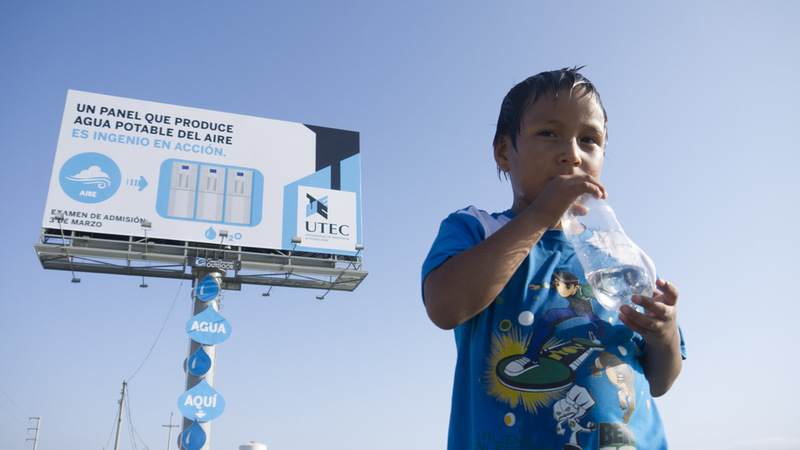 One project is from Lima, Peru, where engineers have equipped a skyscraping billboard with a water harvesting system that collects moisture from the humid air and turns it into 25 gallons of potable water daily. Another example, equally whimsical and practical, comes from UmeÃ¥, Sweden, north of Stockholm. There, dark winter days promote seasonal depression, so city officials have installed phototherapy lights in bus shelters. The centerpiece of the exhibition is a parking kiosk, donated by the City of Boston. These kiosks were once on the parking payment vanguard, but increasingly theyâ€™re being replaced by smartphone apps. Burnham worked with designer Mayo Nissen to reprogram the donated kiosk so that instead of printing dashboard receipts, it spits out information about traffic conditions, Red Sox scores, and updates on repairs to local infrastructure problems like potholes and broken street lights (though of course these are all things that smartphones can do, too). The exhibition also includes a space for visitors to suggest their own kiosk reprogramming ideas. Cities are inherently nostalgic places but, as "Reprogramming the City" demonstrates, they're inherently optimistic places, too. In real life we confront intractable policy problems like budget deficits and entitlement reform. In city life, though, itâ€™s possible to believe that all the solutions for social life are already before us. Image of UTEC Potable Water Generator, Lima, Peru, 2013 courtesy of the Boston Society of Architects.